August 28th, 2018: Lots of show stopper bugs fixed. This game was created for the Mini Jam #9. The theme was Back to School and the limitation was Only 2 Buttons. 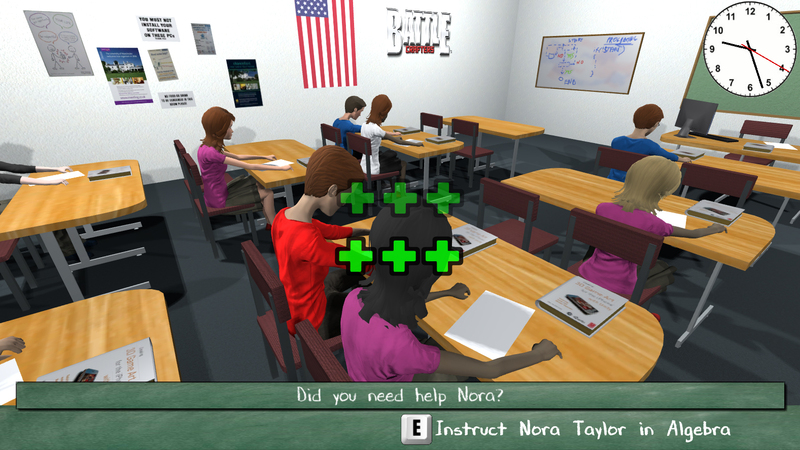 Teachers Pet is a 1st-Person teacher simulator where you teach a class of high school students different subjects such as Algebra, Biology, Literature, History and Geography. Help your students to understand the subject you are teaching by by improving their attention. The controls are really simple... just Q and E. You will be prompted for the command to use during certain stages of the game. MAKE SURE TO LEAVE A COMMENT OR SUGGESTION! I continue to work out bugs but please report any you might find.